Human rights investigators on the ground have learned that hundreds of children have been killed in U.S. “signature strikes,” where, for instance, sim cards in cell phones were used to locate targets. Wedding parties have been destroyed because faulty intelligence targeted large gatherings. 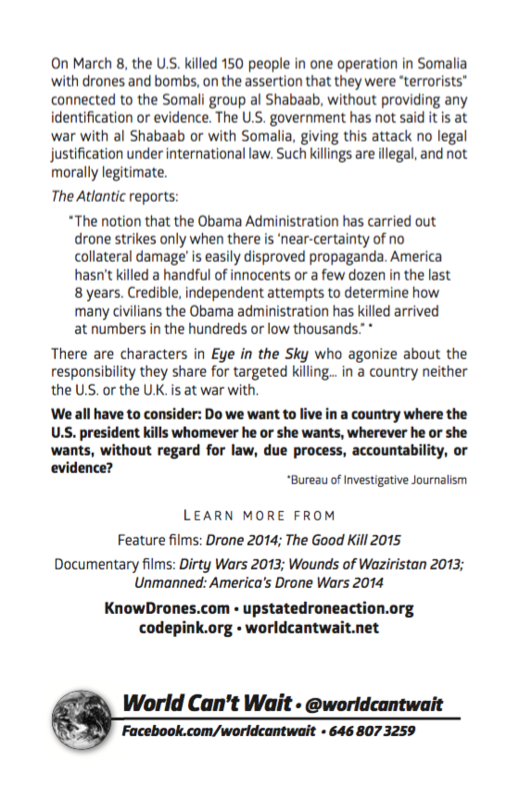 The Obama administration has so far used drones in and bombed seven predominantly Muslim countries, (Afghanistan, Pakistan, Yemen, Somalia, Libya, Iraq, Syria). 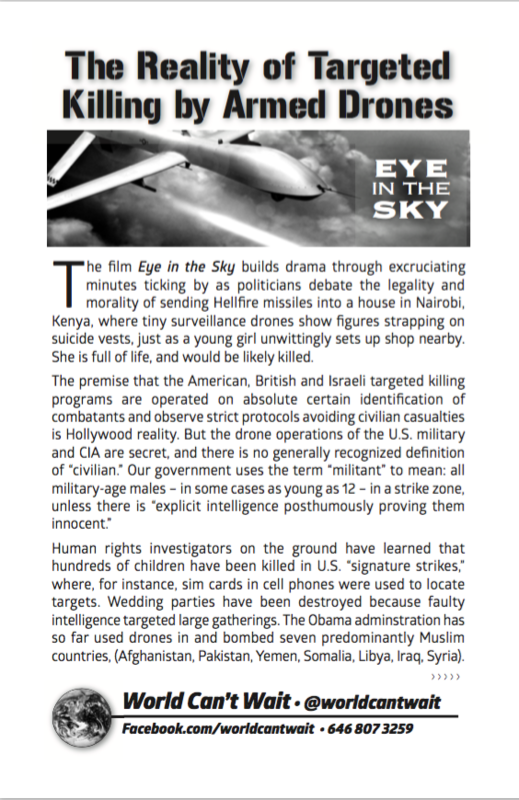 There are characters in Eye in the Sky who agonize about the responsibility they share for targeted killing… in a country neither the U.S. or the U.K. is at war with. We all have to consider: Do we want to live in a country where the U.S. president kills whomever he or she wants, wherever he or she wants, without regard for law, due process, accountability, or evidence?